Wedding Trend Report from L.A.
Maybe it was Meghan Markle’s royal wedding gown or maybe brides-to-be just needed a break from lace. Whatever the reason, solid white gowns are becoming the dress du jour. Rather than emphasizing the fabric, the dress is all about the construction and details. Paying attention to sleeve length, unique necklines and cut-outs, the attention is on the structure and fit of the gown rather than a busy pattern. Best of all, solid white gowns are a bit more subtle, keeping the focal point on the bride and not the dress! 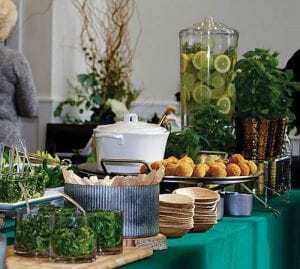 This trend may only apply to certain states, but don’t be surprised when your next California- or Colorado-based wedding reception has a fully-stocked cannabis bar. And thanks to all of the different ways cannabis can be ingested (cookies, cocktails, etc. ), it’s a delicious, if not more discreet, way to let loose at the reception. With the full legalization of hemp, cannabis bars may start popping up in non-recreational states, including Missouri! 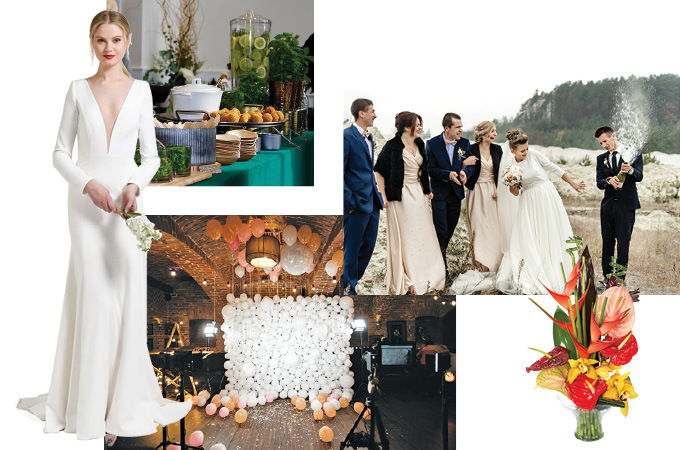 When deciding on floral arrangements, tropical flowers aren’t usually the first to come to mind, but these bright blooms are having a moment in the wedding world. From palm leaf centerpieces to bouquets with colorful orchids and lobster claws, using tropical flowers and foliage is a trend gaining traction outside of destination weddings. Giant palm leaves are a visually striking and wallet-friendly alternative to traditional options like roses and lilies. 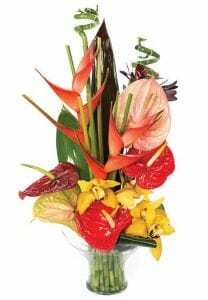 Best of all, tropical flowers can be easier to preserve than other varieties, so they will last well beyond the big day. First it was the flower wall, then the doughnut wall, and now, it’s all about the balloon wall. 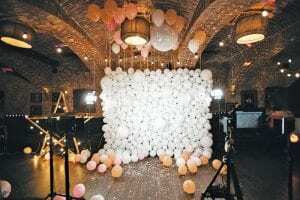 It seems as if every event needs an Insta-worthy backdrop these days, and balloon walls are the trend taking over wedding receptions. Less costly (and sugar-heavy) than doughnuts or flowers, these are a vibrant and playful alternative. Different shapes, sizes and colors make for an ethereal backdrop to any wedding no matter how formal or casual the celebration may be.